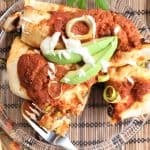 Butternut Squash Black Bean Enchiladas with homemade chile red sauce taste exactly as good as they sound…off the chart delicious. It is amazing how much difference homemade sauce makes. It is healthy and tasty, and the spices give it a just made, fresh flavor, not at all like sauce from the jar. 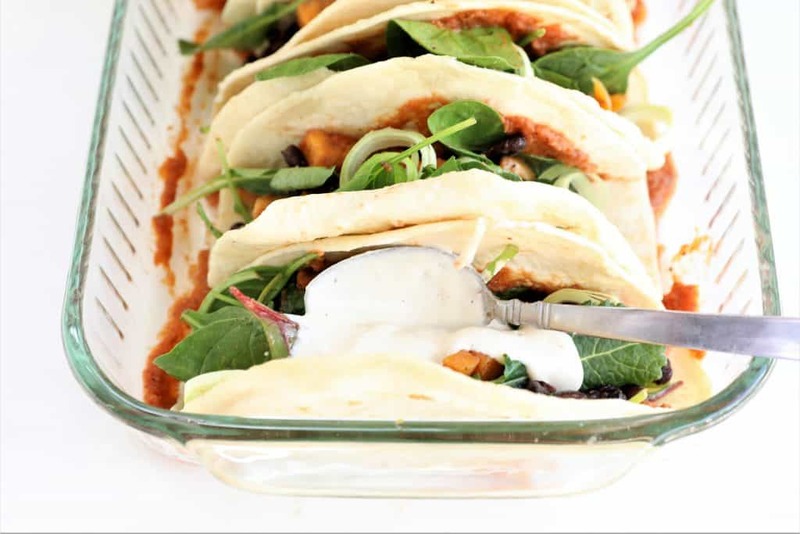 If you are gluten free, be sure to use corn tortillas when preparing this dish. 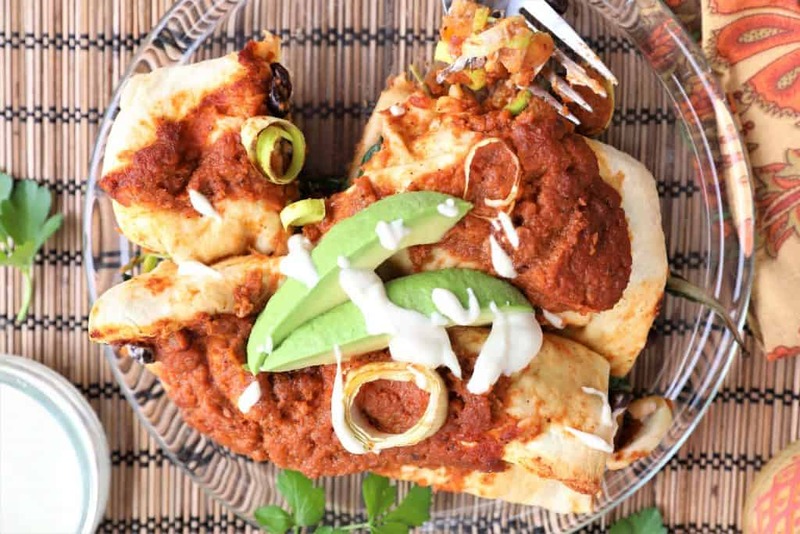 These enchiladas are vegan, vegetarian, gluten free and dairy free, but you would never know how healthy they are by the taste. So yummy. Start your enchiladas by oven roasting the squash so that it can be baking while you prepare the red sauce. I am lazy, so I buy the butternut squash already cubed from Trader Joe’s. Drizzle with spices and olive oil and then get started on the red sauce. 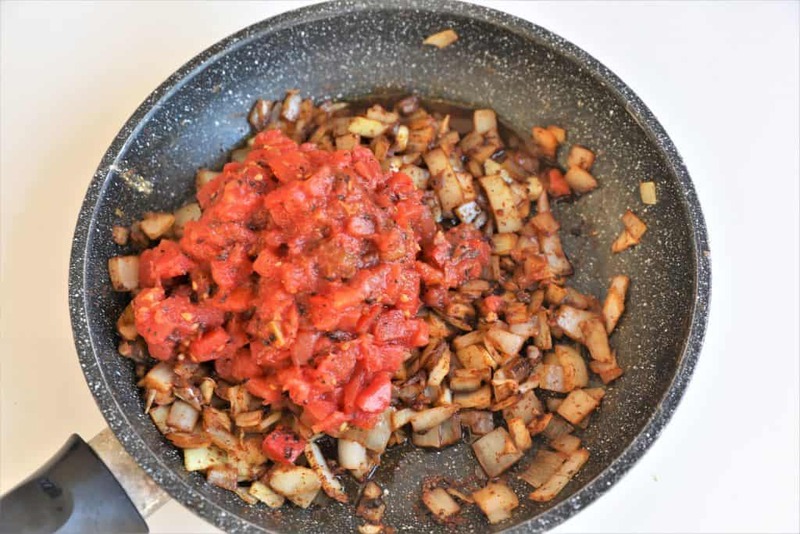 I only add a tablespoon of chile powder to the red sauce for a medium kick. 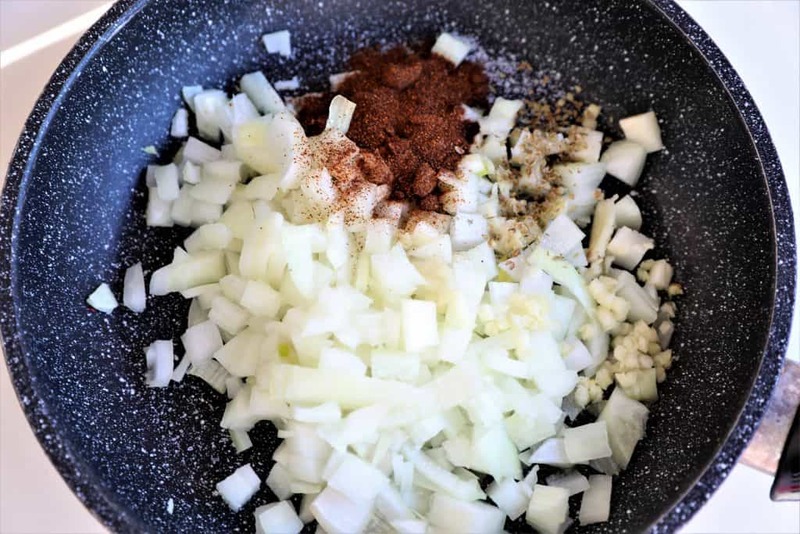 If you like your sauce mild, cut that in half, or for a spicier flavor, add another teaspoon. In place of dairy sour cream, I use the scrumptious garlic cashew creme–it adds to much to the overall flavor of the enchilada. This dish will be a hit, so you might want to think about doubling the recipe. They are also perfect to pack for lunch. 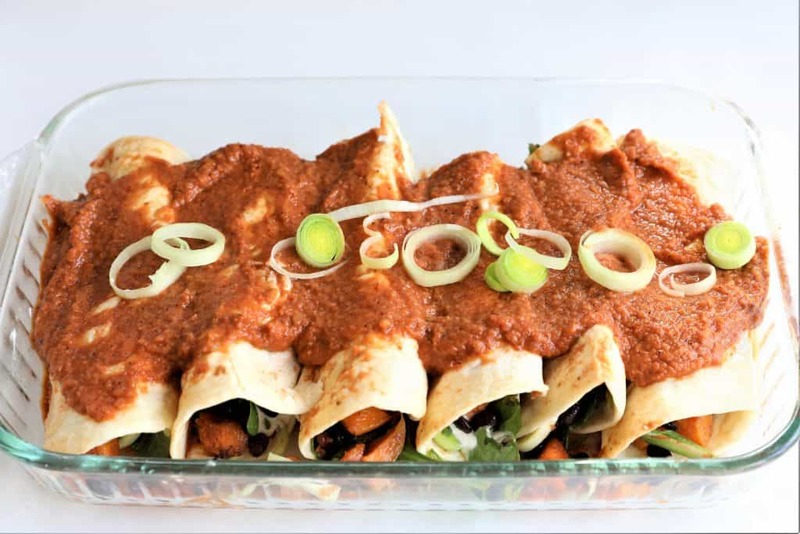 Butternut Squash Black Bean Enchiladas mixed with greens and topped with homemade red chile sauce and garlic cashew creme is exactly how it sounds--an off the flavor chart delicious dish. 1 cup mixed greens, i.e, spinach, kale, chard etc. 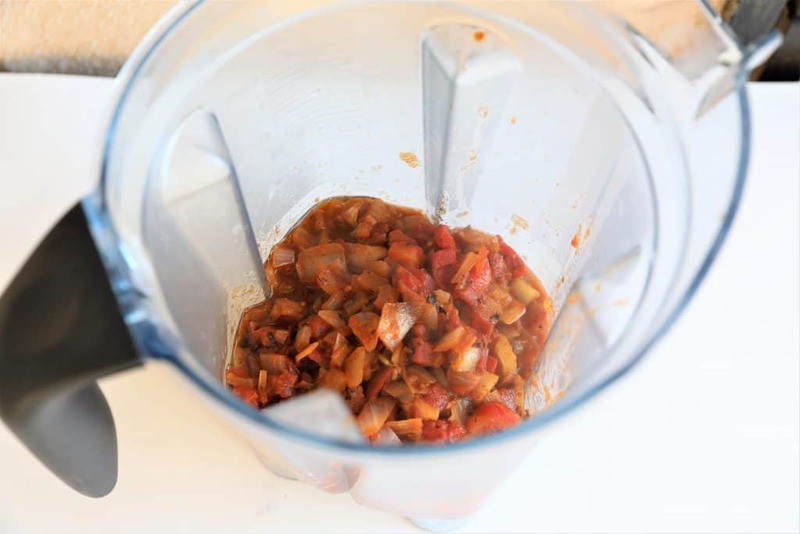 Allow tomato mix to cool slightly and pour into high speed blender. Add maple syrup and blend until almost totally smooth. 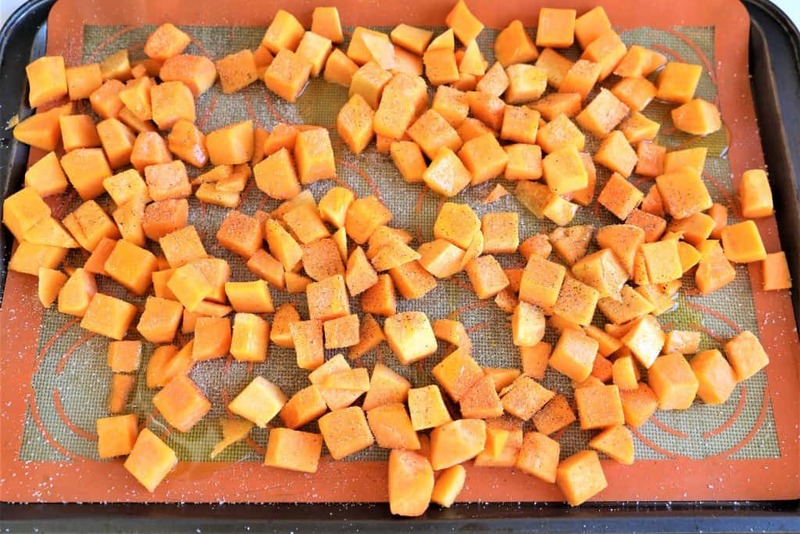 Place squash on baking sheet with silicon mat or parchment and drizzle with olive oil. Sprinkle salt, pepper and granulated garlic. Bake for 20 minutes at 400 degrees. 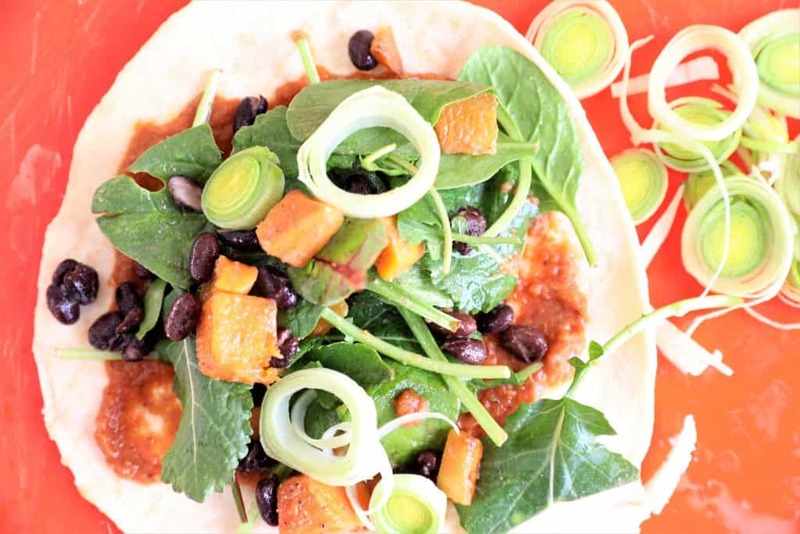 Add black beans, mixed greens to bowl. When cooked, add butternut squash and mix well. Close each enchilada and place seam down in 9x13 pan. Spread remaining red chile sauce on top. Bake for 30 minutes at 350 degrees. Serve with avocado and garlic cashew sauce. Preheat oven to 400 and place butternut squash in the oven before making the red chile sauce so that it can be baking at the same time. What exactly is an enchilada? Read all about the history, here. 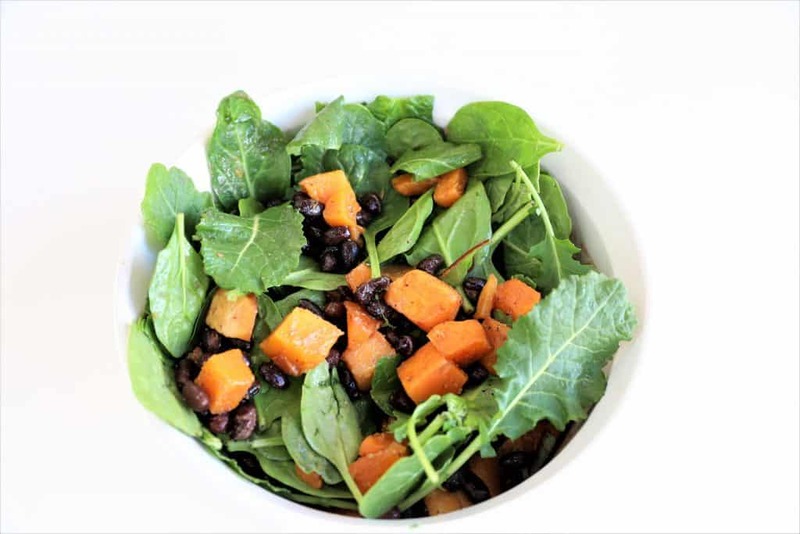 Start with the butternut squash so that it can be baking while you prepare the red sauce. Adjust the chile powder to get the level of spicy that you prefer. 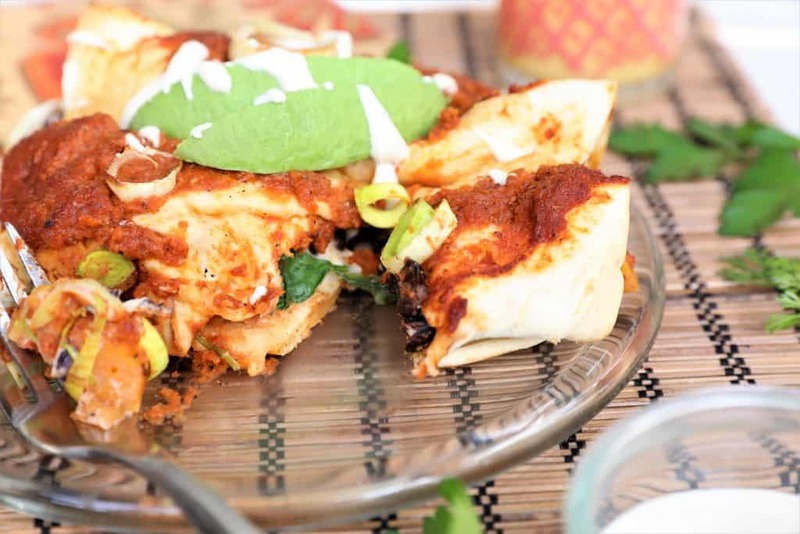 Add garlic cashew creme to the top of the enchiladas when you are ready to serve. 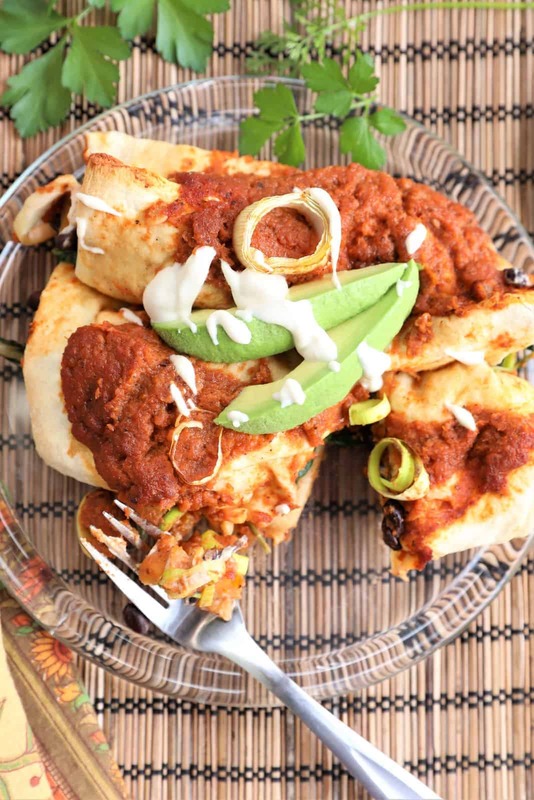 Enchiladas are perfect for left overs or packing for lunch.